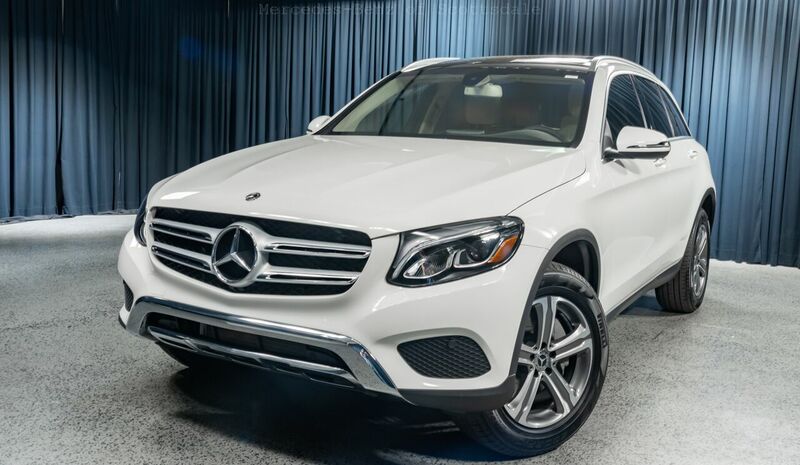 This outstanding example of a 2019 Mercedes-Benz GLC GLC 300 is offered by Mercedes-Benz of Scottsdale. This Mercedes-Benz includes: PREMIUM PACKAGE Keyless Start HD Radio Satellite Radio Power Door Locks Keyless Entry BLIND SPOT ASSIST Blind Spot Monitor SILK BEIGE/BLACK MB-TEX, MB-TEX UPHOLSTERY Premium Synthetic Seats PANORAMA SUNROOF Panoramic Roof Generic Sun/Moonroof Sun/Moonroof Dual Moonroof SMARTPHONE INTEGRATION PACKAGE Smart Device Integration POLAR WHITE *Note - For third party subscriptions or services, please contact the dealer for more information. * This SUV gives you versatility, style and comfort all in one vehicle. There's a level of quality and refinement in this Mercedes-Benz GLC that you won't find in your average vehicle. This outstanding example of a 2019 Mercedes-Benz GLC GLC 300 is offered by Mercedes-Benz of Scottsdale. Want more room? Want more style? This Mercedes-Benz GLC is the vehicle for you. There's a level of quality and refinement in this Mercedes-Benz GLC that you won't find in your average vehicle. Just what you've been looking for. With quality in mind, this vehicle is the perfect addition to take home. This is the one. Just what you've been looking for.